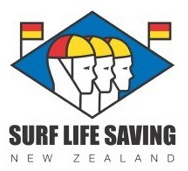 Water Safety New Zealand’s (WSNZ) Public Attitude and Behaviour Survey for 2017 has revealed while safety messages are getting through risky behaviour is slow to change. The survey reveals that drowning is perceived as a problem by 83% of people ranking 5th behind child abuse, domestic violence, road safety and bullying at school and in the workplace. It also shows us that while there are high levels of awareness of the dangers around water people’s behaviour often doesn’t take that danger into account. Swimmers made up the highest number of recreational preventable drownings in 2016 with just over a quarter of all preventable fatalities. 84% of respondents say they’ve learnt to swim and 58% say they’ve swum in the past 12 months. However, over half haven’t swum 25m in the last 12 months and close to half have never learnt water safety skills. Jonty Mills says aquatic education needs to be more of a priority. A survey commissioned by WSNZ and conducted by the New Zealand Council of Educational Research (NZCER)WSNZ -last year revealed only around a quarter of primary schools provide a barely acceptable level. The survey also reveals around two thirds of people get into the water without any safety checks and swim alone. Around a quarter enter the water sometimes, usually or always with alcohol in their system. Alcohol and its relationship to out boating culture remains an issue. Most concerning is a jump in the number of people who always consume alcohol when they go out on a boat and a drop in those who never do. On the positive side the messages around lifejackets and the supervision of under-fives appear to be taking hold. The percentage of people who always wear a lifejacket has gone up while those who never wear one has dropped. The number of respondents who always keep preschool children within arm’s reach around water has also increased. Original generation time 2.2118 seconds. Cache Loaded in: 0.0005 seconds.